Amorgos is the easternmost of the Cyclades. This deserted island will appeal to travelers who like to walk in the highlands, as almost all of its territory is a series of hills and lowlands. Beach goers are attracted by the island, as its coastal area is rich in quiet secluded bays with scenic bottom and clear water. For many years Amorgos has been in focus of archaeologists; numerous valuable artifacts, many of which are kept in the Archaeological Museum of Athens, were discovered there. Tourists have an opportunity to admire the ruins of prehistoric monuments and appreciate the beauty of historical objects relating to later periods. The capital of Amorgos is the city of the same name. It’s situated on the slope of the hill, where you can see the surviving part of the ancient fortress. Important sightseeing objects of the capital are numerous churches; local houses also look very impressive. One of the most important historical sites is Monastery of Panagia Hozoviotissa , whose age is almost a thousand years. The monastery was founded in 1088 and is a typical monument of the Byzantine era. Later the unique historic building was converted into the museum. Its rich collection of religious relics is unique; the age of some of items is more than a thousand years. 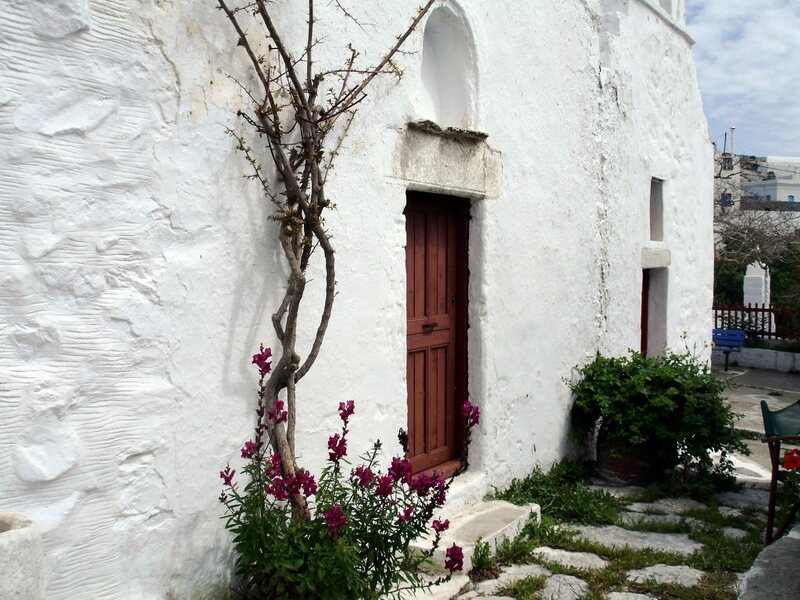 The picturesque settlement of Katapola is the main port of Amorgos. These places will be interesting to those who have long dreamed of walking along archaeological areas. Earlier there was an ancient city of Minoa; elements of numerous old buildings prove its existence. The main symbol of the port town is the beautiful church of Panagia Katapolyani built in keeping with local traditions. Among the most important natural attractions is Mount Krikellos, the highest point of the island. Climbing to the top of the mountain is one of the favorite activities of island’s guests; the road to the top goes through very scenic places. Those who prefer less strenuous walking are recommended to visit the old Arkesini village. All its territory is an amazing architectural complex consisting of white buildings. There is always very relaxed atmosphere on the streets of Arkesini. It seems that the local way of life hasn’t changed for hundreds of years. Amorgos is a popular destination for all foodies and fans of gastronomic tourism. 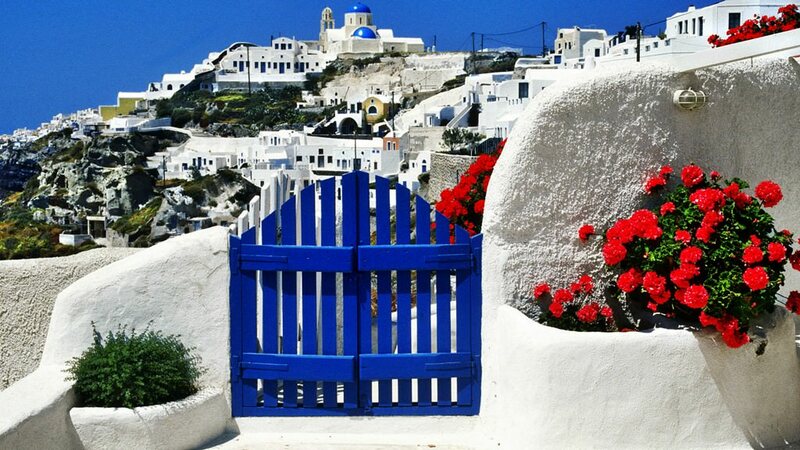 Gourmets and professional chefs arrive on the island in order to try exclusive seafood dishes, freshest fruit and vegetable, and sample best Greek wine. The island is rich is the so-called psarotaverns that can be found not in all regions of the country. Psarotaverns have one striking difference from ordinary taverns – visitors are welcome to choose fish that is still alive, and then experienced chefs cook it in accordance with an individual order. Family holidays with kids in Amorgos Island. How to entertain your child, things to show to children. The majority of dishes in such taverns are cooked on open fire. Grilled seafood has a simply unique taste. Besides tenths of fish types, local taverns offer signature oyster dishes, mussels, and octopuses. A glass of quality Greek wine is an essential part of any meal. Coffee is one more interesting local peculiarity as it is cooked in accordance with special recipes on the island. Fans of this drink should not forget that, in contrast with Turkish, Greek coffee is very strong. As a rule, local cafes and restaurants serve freshly made coffee with a glass of cold water. When it comes to popular alcoholic drinks, it is important to mention raki, grape vodka, and ouzo vodka that is made from anise. Small bottles of these drinks are available in numerous local shops, and many tourists buy them as a souvenir. Gastronomic specialties of the island are very diverse, but it simply impossible to fail to mention numerous spices, many of which are added to various fish and vegetable dishes. Tourists also enjoy buying excellent olive oil on the island, as well as dozens of types of locally produced cheese. Feta cheese is usually the most popular with travelers. This cheese is an essential ingredient of numerous Greek salads. 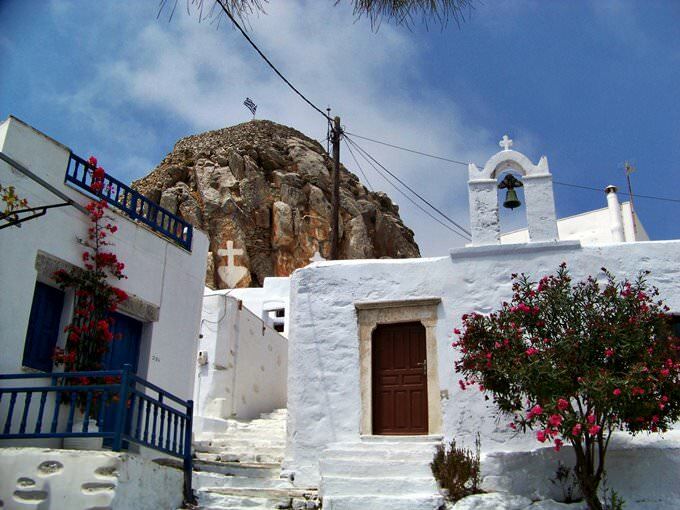 This guide to iconic landmarks and sights of Amorgos Island is protected by the copyright law. You can re-publish this content with mandatory attribution: direct and active hyperlink to www.orangesmile.com. Check on the map: Distance from Amorgos Island center - 67.4 km. 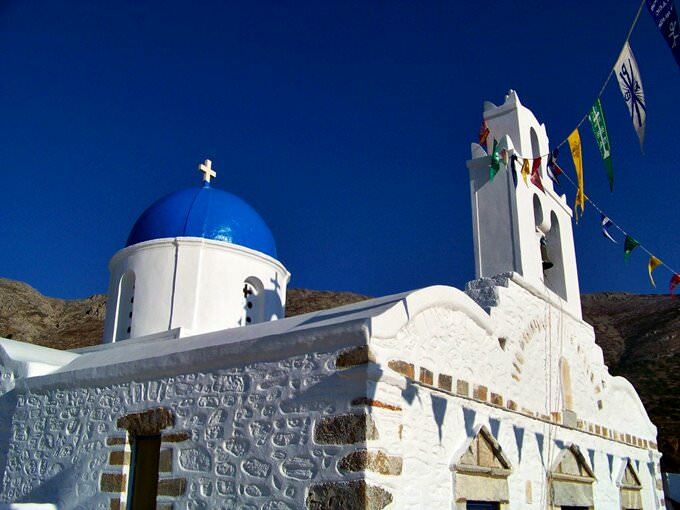 All about Amorgos Island, Greece - sightseeings, attractions, touristic spots, architecture, history, culture and cuisine. 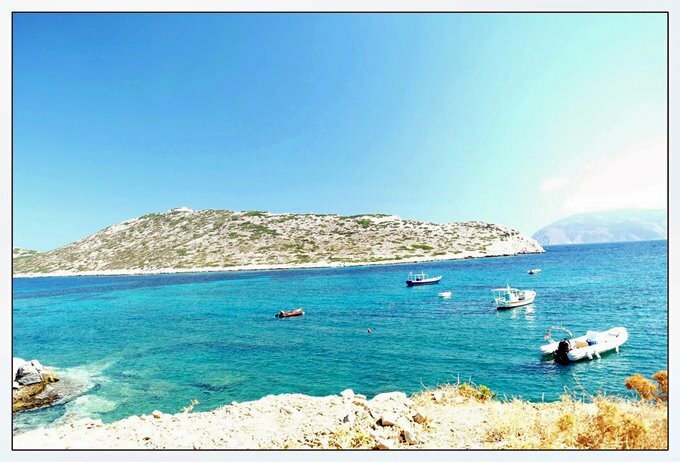 Prepare your trip together with OrangeSmile.com - find out the 'must see' things in Amorgos Island, which places to visit, which excursions to take, where the breathtaking views are waiting for you. Planning your trip with this travel guide will help your to get the most out of Amorgos Island in few days.